A perfect jewellery gift for her. 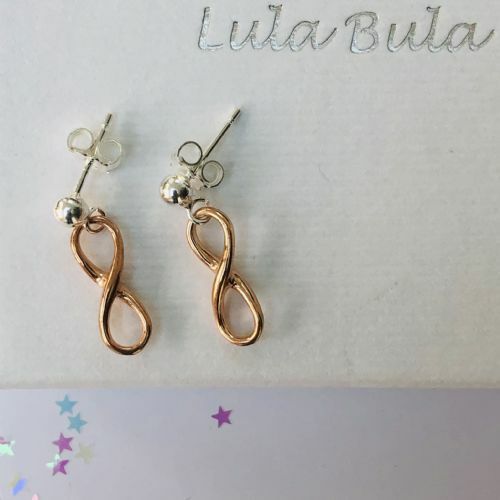 Our unique, personalised jewellery gifts are perfect for giving to your daughter, granddaughter, Goddaughter, niece, sister, friend, mum, auntie for any occasion to show her that you love her endlessly. Our gorgeous sterling silver infinity necklace has beautiful rose gold plating on the infinity symbol and is attached to a 17" length beautiful sterling silver chain. We also have earrings and a bracelet top match this design - perfect for creating the ultimate gift set.